I’m already into the third week of my CSA (community supported agriculture) so I am knee deep in organic vegetables. I got lovely little white turnips, and divine basil and very fresh parsley. 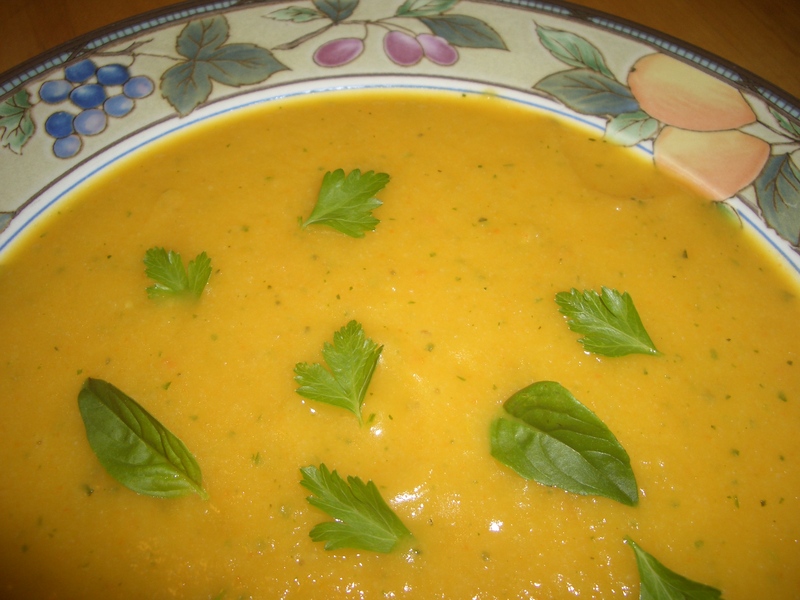 I combined that with carrots and cauliflower I had on hand and made this delicious soup. 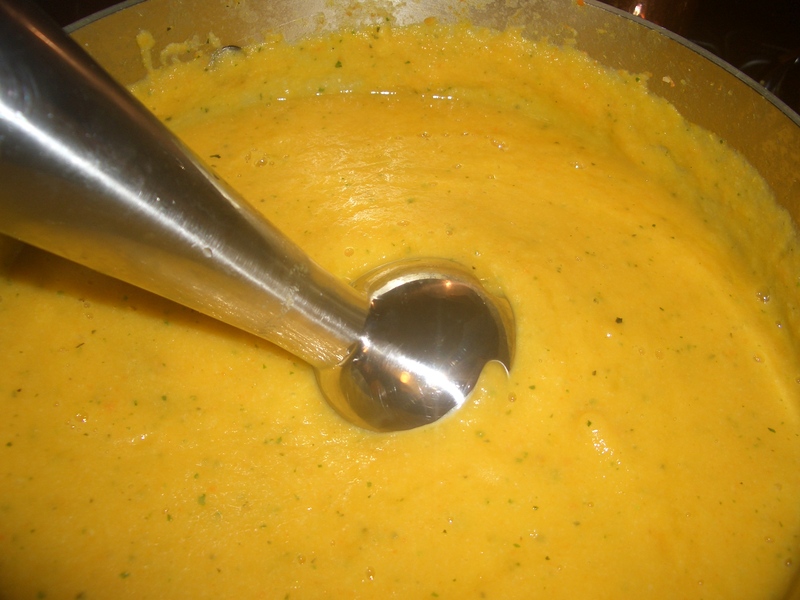 Besides being delicious an added plus is although it’s a thick, rich soup, there are no starches in it. 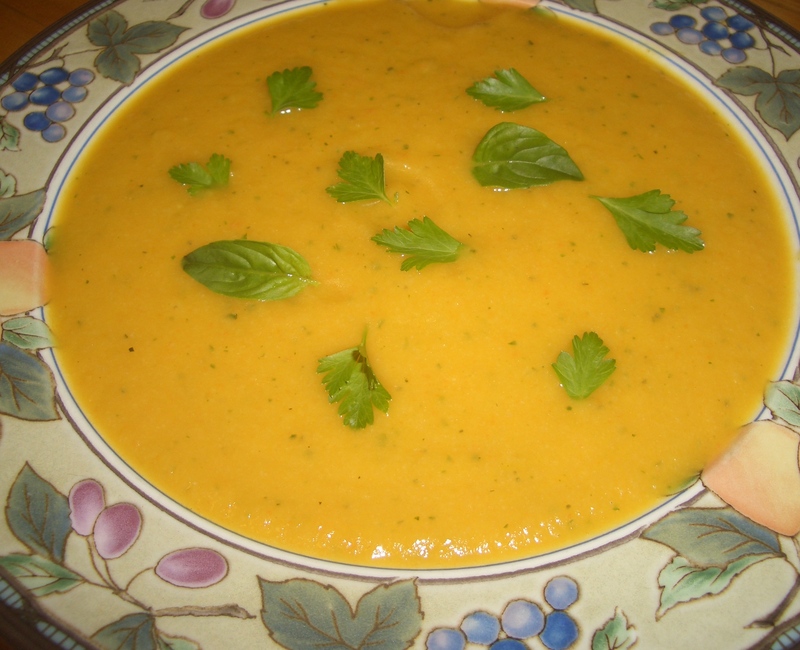 So, I hope you enjoy this soup and that your summer is delightful. This is quite a thick soup, you can thin it down with additional broth if you like. Also, I really like to eat it with something crunchy crumbled on top (I used potato chops). In a 3 quart saucepan, heat the oil over medium high heat. Add the onion and cook, stirring, until softened. Add the broth, bring to a boil. 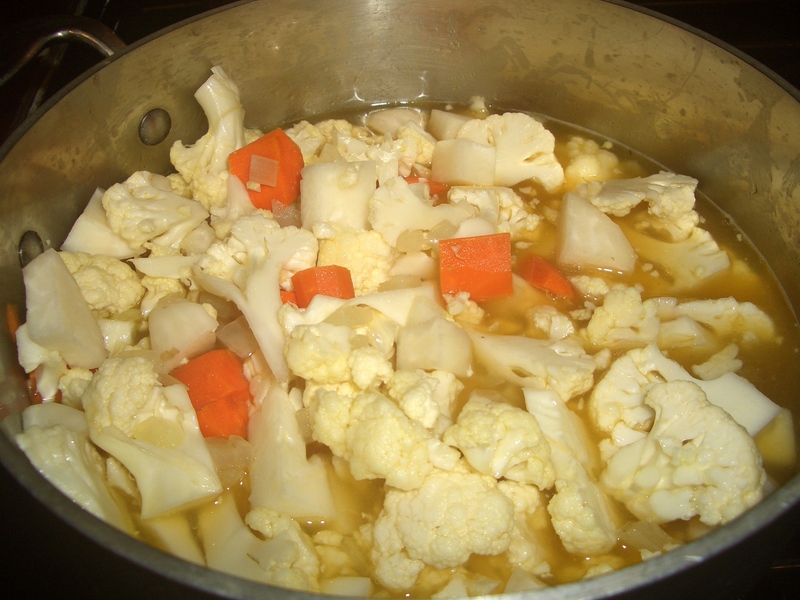 Add the cauliflower, turnip and carrot; return to a boil. 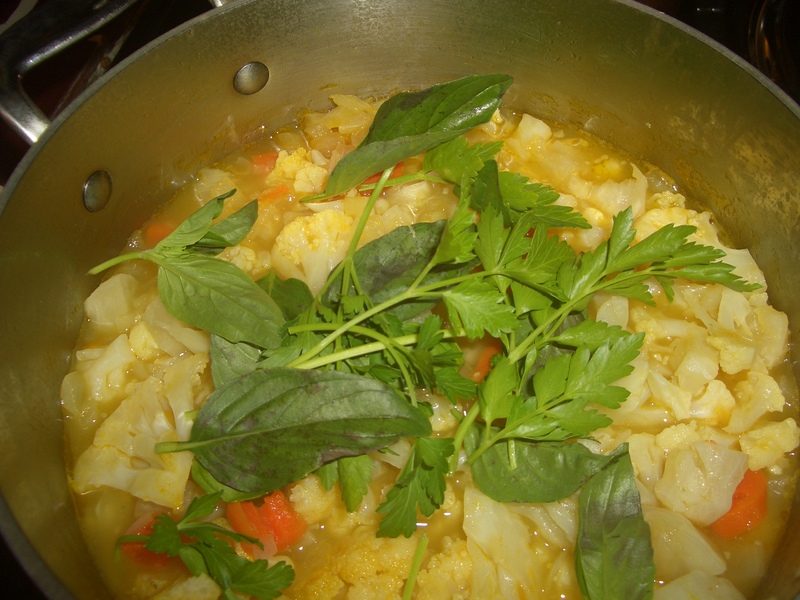 Reduce heat and simmer, covered, for 25 minutes or until the vegetables are soft. Stir in the basil, parsley, and honey. 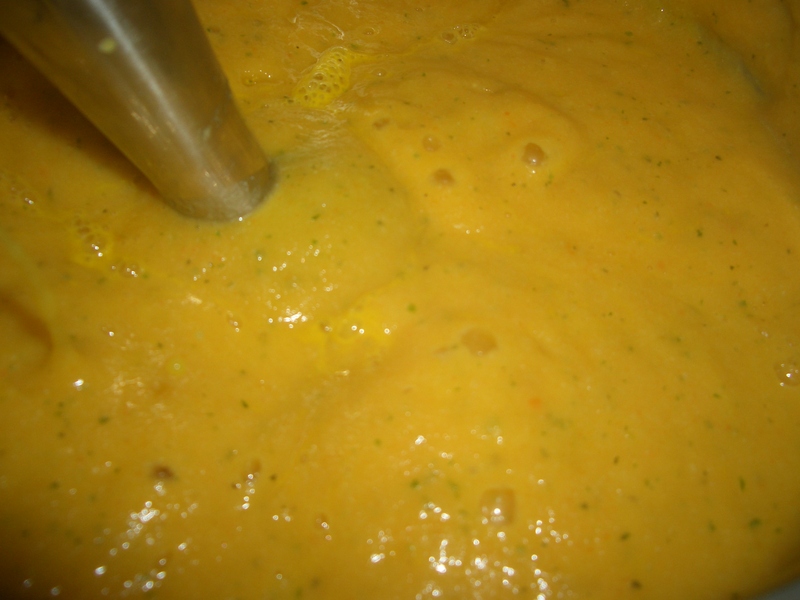 Puree with an immersion blender or blender or food processor. Season with salt and ground red pepper to taste. Pour into serving bowls and garnish with parsley and basil leaves.